Blueprint AP-A3150 : Art Paper Sheet A3, 50 Sheet, 150gsm, Cast Coating, Glossy Kertas ini sep.. 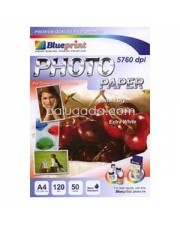 Blueprint AP-A4150 : Art Paper Sheet A4, 50 Sheet, 150gsm, Cast Coating, Glossy Kertas ini se.. 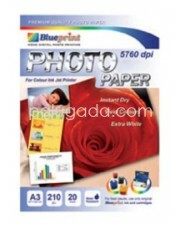 Blueprint BP-DSGA3220 Double Sided Photo Paper A3 20 Sheet, 220 gsm, Cast Coating, Glossy, Wat.. 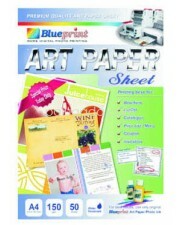 Blueprint BP-DSGA4150 : Glossy Double Sided Photo Paper A4, 20 Sheet, 150 gsm, Cast Coating, Glo.. 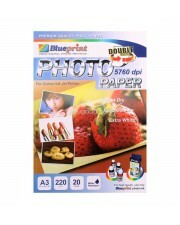 Blueprint BP-DSGA4220 : Double Sided Photo Paper A4, 20 Sheet, 220 gsm, Cast Coating, Glossy, Wat.. 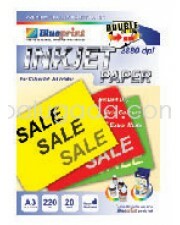 Blueprint BP-DSIPA3220 : Double Sided Inkjet Paper A3, 20 Sheet, 220gsm, Cast coating, Extra Whi.. 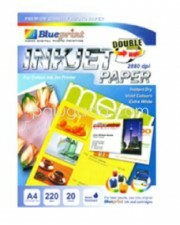 Blueprint BP-DSIPA4220 : Double Sided Inkjet Paper A4, 20 Sheet, 220gsm, Cast coating, Extra Whit.. Blueprint Transfer Paper FUN PACK "A" Isi : 1pc transfer paper + T-Shirt Anak Produk ini.. 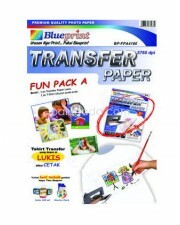 Blueprint BP-FPD-4160 : Transfer Paper FUN PACK "D" Isi : 1pc transfer paper + T-Shirt Dewa.. 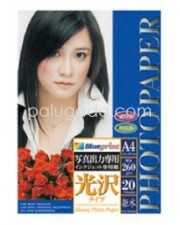 BLUEPRINT Kertas Laminating Glossy Film A3 Kode Produk : BP-GFA355 A3, 20 Sheet, 70 Micron Cast C.. 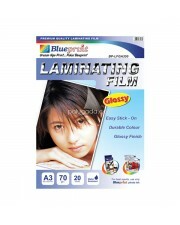 Blueprint BP-GFA455 Laminating Glossy Film - A4, 20 Sheet, 55um, Laminating, Glossy Produk ini.. 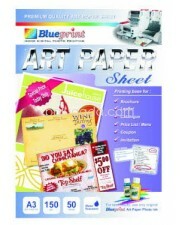 Blueprint BP-GPA3190 Photo Paper - A3, 20 Sheet, 190/210 um, Cast Coating, Glossy, Water Resista.. 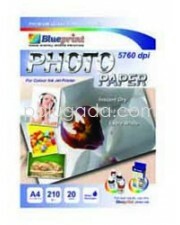 BLUEPRINT Kertas Foto Glossy 230 gsm A3 Kode Produk : BP-GPA3230 A3, 20 Sheet, 230 gsm Cast Coati.. 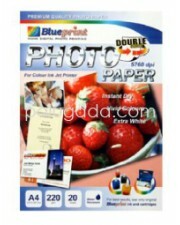 Blueprint BP-GPA4120 Photo Paper - A4, 50 Sheet, 120 gsm, Cast Coasting, Glossy, Water Resistant.. 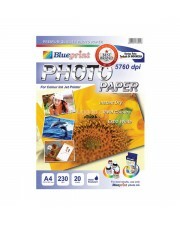 Blueprint BP-GPA4190 Photo Paper - A4, 20 Sheet, 210 um, Cast Coasting, Glossy, Water Resistant (.. 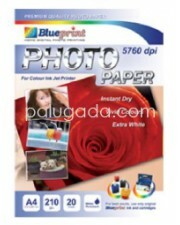 Blueprint BP-GPA4190 Polos Photo Paper - A4, 20 Sheet, 210 um, Cast Coasting, Glossy, Water Resis.. 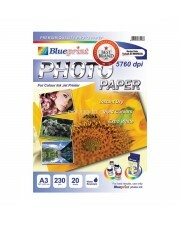 Blueprint BP-GPA4230 Photo Paper - A4, 20 Sheet, 230 gsm, Cast Coasting, Glossy, Water Resistant.. 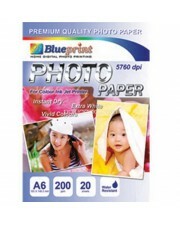 Blueprint BP-GPA4230 Polos Photo Paper - A4, 20 Sheet, 230 gsm, Cast Coasting, Glossy, Water Resi.. 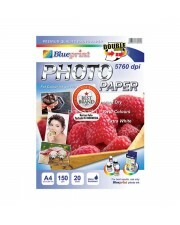 Blueprint BP-GPA4260 Photo Paper - A4, 20 Sheet, 260 gsm, Microporous, Glossy, Water Resistant .. 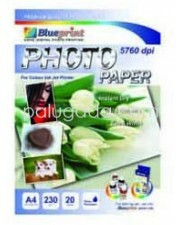 Blueprint BP-GPA6200 Photo Paper - A6/Ukuran Post Card, 20 Sheet, 200 gsm, Cast Coating, Glossy, ..